DigitalHealth.London > News > News > Can a virtual revolution be an NHS reality? 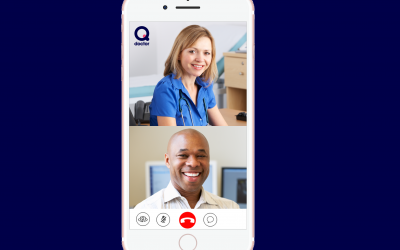 Can a virtual revolution be an NHS reality? The immersive experience of virtual reality is poised to transform the way clinicians and patients experience healthcare, writes Richard Vize. But hard evidence of its effectiveness and value for money is required before the NHS and medical schools can justify investment. Virtual reality uses software to generate realistic images, sounds and other sensations to replicate real environments or create imaginary ones, and simulates the user’s presence there, enabling them to look around, explore and interact. The technology can be as cheap as a few pounds, with a smartphone inserted into a basic headset such as Google Cardboard. More sophisticated smartphone headsets cost around £80, while elaborate virtual reality headsets might cost £500. GP and virtual reality enthusiast Keith Grimes described the clinical potential of virtual reality to the DigitalHealth.London Summit. Early work includes controlling pain and reducing anxiety by distracting the patient through immersion in another environment. It has been shown to work on everything from dentistry to changing wound dressings. “It can be a very low cost intervention to improve the quality of care and the experience of a patient, and it can reduce pain in a consistent fashion – it’s not just once with the wow factor,” he said. Researchers are investigating whether pain reduction persists after the end of the virtual reality session, and whether benefits demonstrated with sophisticated equipment can be replicated with cheaper devices such as smartphones. A promising diagnostic use for virtual reality is measuring cognitive impairment, such as the early signs of dementia, by gathering data on how a patient performs everyday tasks. 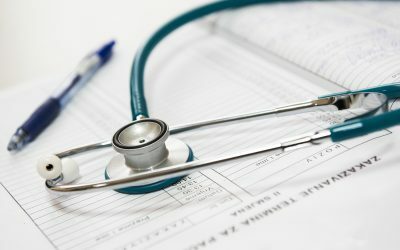 In the next few months Dorset Clinical Commissioning Group is hoping to trial a tool developed by King’s College Hospital, “to assess cognitive function much more quickly and accurately than the present paper-based test, allowing an earlier Alzheimer’s diagnosis”, said Richard Dolan, the CCG’s digital innovation fellow. Virtual reality could augment other diagnostic technologies, such as reconstructing an MRI scan in 3-D, allowing a clinician to walk around it. Dolan has organised a psychotherapy trial, helping patients with fears of heights or flying. A patient can be immersed in a scenario which causes them anxiety, their reaction and behaviour can be measured, then they can be taught techniques to lessen the anxiety and taken back through the same scenario to measure the effectiveness. Gaze tracking is a another research route, offering insights into everything from Asperger’s Syndrome to psychotic disorders. Shafi Ahmed, a consultant surgeon at Barts Health NHS Trust, has been exploring the advantages of immersive learning compared with traditional medical teaching, particularly for surgery. Aspects of medical training have remained unchanged for centuries, such as learning anatomy by dissecting cadavers, with all the costs and limitations. Now the medical school at Case Western Reserve University in Ohio is creating holograms on an augmented reality platform, which means digital information is integrated with the user’s environment in real-time. The medical school plans to replace cadavers with virtual and augmented reality learning by next year. The most revolutionary application of virtual reality may well be to enable staff to experience healthcare from the patient’s perspective. Nicholas Peres, a humanities researcher at University of Plymouth, is collaborating with Torbay Hospital in using virtual reality to improve empathy and compassion in the way staff interact with patients. “My work is about capturing the patient perspective in various clinical scenarios, so it is shooting 3-D videos from the patients’ point of view – anything from a patient going from an ambulance to a resuscitation bay and onto a theatre, to how you interact with staff from a wheelchair – and using those videos to point out the simple things that can make a big difference,” Peres said. Clinicians have reacted positively, learning how changes such as maintaining eye contact or not looming over a patient lying in bed gives a better experience. It is already being used in training staff how to handle patients manually. He described the clinical evidence for the benefits of virtual reality as solid but small-scale. Gains are likely to be seen in improved productivity rather than savings. Potential benefits include patients missing fewer appointments because procedures are less distressing, calmer patients enabling staff to do better quality work, and saving time getting patients into expensive facilities such as MRI scanners and theatres. It might reduce drug use. “Could you use virtual reality as an opiate-sparing procedure? Less sedation, less pain relief afterwards, so less need to keep people in overnight – so there are other ways in which you can improve throughput and efficiency,” Grimes said. Research is exploring not just the advantages of virtual reality but also its limits; for example, the headsets can be too cumbersome and heavy for a seriously ill patient. He does not assume there will be a rush to use virtual reality; take-up will be influenced by whether it catches on among consumers.